Choose between two high-performance options to meet your needs. MoonRay D75 is the preferred solution for producing highly detailed crowns, copings, and bridges, and RPDs. 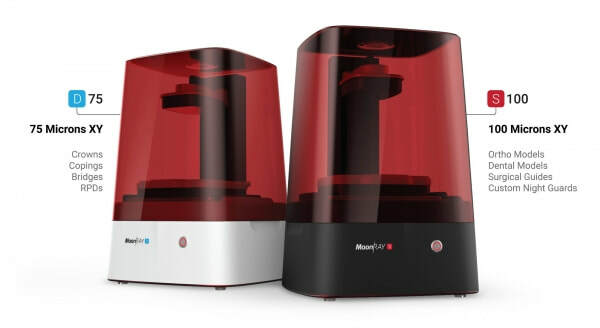 MoonRay S100 allows you to quickly print multiple precise dental models, surgical guides, or night guards. Both MoonRay models work with our easy-to-use software, and are compatible with a wide range of dental materials, including NextDent resins. ​MoonRay was built to be an all-in-one system that meets the needs of the dental industry. Setup is simple, and our RayWare software makes it easy to go from intraoral or 3D scan to printed part. MoonRay requires less maintenance than similar 3D printers, as our durable resin tank lasts for printing with up to 50L of resin before it needs to be changed. We offer a wide range of materials, including our own Gray Model Resin, Castable Resin, Surgical Guide Resin, Night Guard Resin, and Denture Base Resin. MoonRay is also compatible with the NextDent family of materials, further expanding your dental 3D printing capabilities with MoonRay. 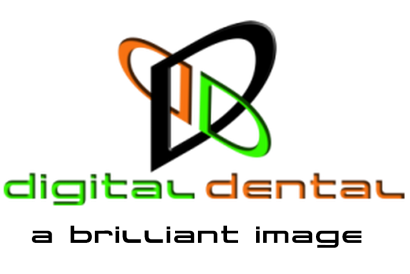 ​Dental professionals are consistently seeking the ideal combination of optimal quality and efficiency. That means serving clients with the most up-to-date and effective technology. In the field of 3D printing, that is exactly what MoonRay can deliver to your lab or practice. MoonRay’s fast DLP technology, generous build envelope, and affordable materials make it an efficient investment. Printing surgical drill guides in-house. With MoonRay, surgical guides can be printed in two hours at an average cost of £5 per guide using the biocompatible surgical guide resin. Creating custom night guards with the biocompatible resin is fast and easy. MoonRay’s high-resolution 3D printing capabilities means you’ll get a precise fit every time. Print accurate dental models for vacuum forming and wax ups. In-house printing of precise models with removable dies makes it simple to test the fit of dental appliances. The Castable Resin allows you to print crowns, copings, and partials for investment casting. MoonRay is also compatible with NextDent Crown & Bridge resin for printing temporaries.